v.1 "in those days" - what days? refer back to Matthew 2:19-23 notice it says "take the young child". 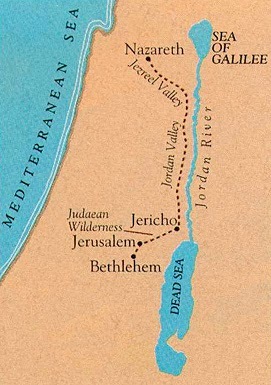 So John the Baptist started preaching in the Judaean wilderness in the same days that Jesus' family were back and settled in Nazareth. v.2 what were the first words of John's ministry as recorded by Matthew? "Repent ye, for the kingdom of heaven is at hand." cf. Matthew 4:17 what were the first words of Jesus' ministry as recorded by Matthew? "Repent ye, for the kingdom of heaven is at hand". Why was the message of repentance so central to Christ's gospel? Is it still today? "You may in time of trouble think that you are not worth saving because you have made mistakes, big or little, and you think you are now lost. That is never true! Only repentance can heal what hurts. But repentance can heal what hurts, no matter what it is." - President Boyd K. Packer, October 2011, Counsel to Youth, General Conference. I love those thoughts - "only repentance can heal what hurts" and we each hold the key to repentance. No-one else has control. We have the key. We get to choose. We are masters of our own destiny. What was the message he asked the apostles to share as he left them after his resurrection? see Matthew 28:19-20.
v.3-4 What manner of man was John? Here he stood, literally in the meridian of time, in the wilderness possibly symbolizing the once more lost state of the children of Israel. The one prophet whose duty it was to set the stage for Christ's mortal ministry. He was so important that Isaiah prophesied of him. The Christ himself said in Luke 7:28, "Among those that are born of women there is not a greater prophet than John the Baptist" Why was it important that someone prepare the way for Christ's ministry and why John? John's ministry brought many people out to explore, learn or just to watch what was happening. Luke's account gives us very interesting summary of some of the people that came to John and the things they needed to repent of. Pharisees and Sadducees: self righteousness, they felt that their genealogy and position gave them heaven. They were opposites and proud of it. Pharisees regarded themselves as the upholders of the old law - to the letter. Sadducees consider themselves the forward thinking "free will" modern subscribers of the law. To be grouped together must have been a blow to both groups' egos. The people: were not giving their surplus to the poor and needy. What do we have need to repent of? Do we think just being LDS, saves us? Do we keep our surplus from others? Do we steal? Do we lie and complain about our lot in life? v.13-17 After all these people in need of repentance then comes The One who has no need of repentance. Why was Christ baptized? What does it mean to fulfill all righteousness? 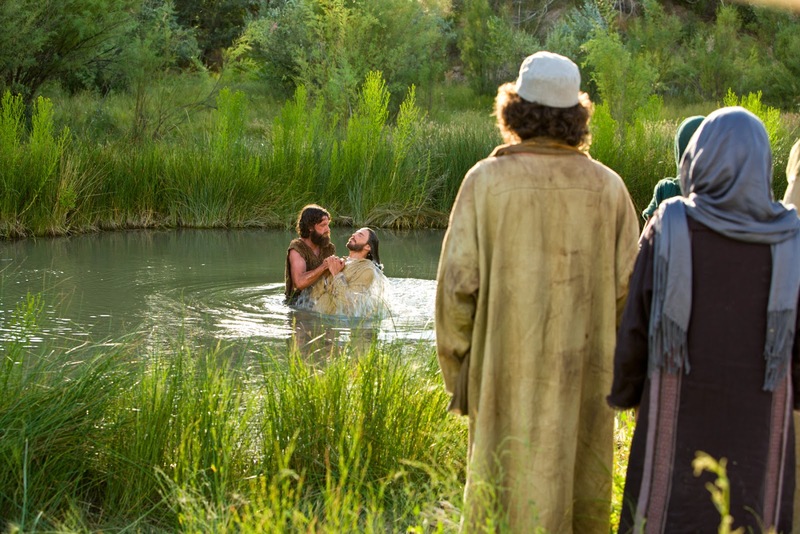 cf 2 Nephi 31:6-7,9,5.
v.11 John says there was a difference between his baptism and the baptism that Christ would bring. What was that difference? Why could John not baptize of the Spirit? Aaronic priesthood is a preparatory priesthood. John's authority extended only to baptism of water, not baptism of fire. v.1 note Christ did not seek temptation. 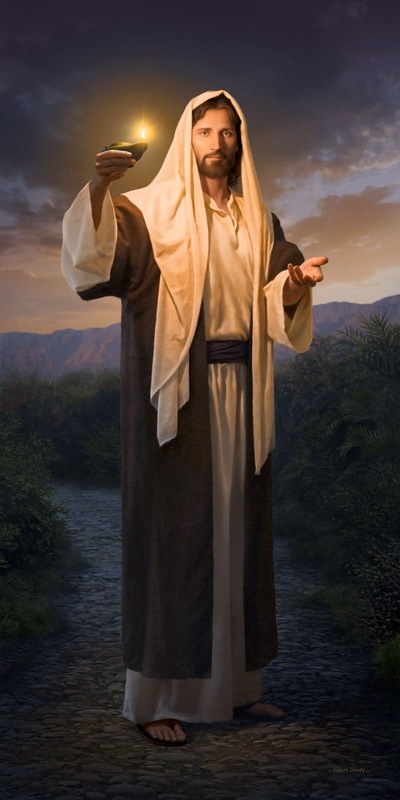 The Joseph Smith Translation clarifies that Jesus actually went up to be with God. Satan, knowing that Christ's ministry was beginning, obviously this would be a good time to try and dissuade him from his important mission. response: "IT IS WRITTEN: Man shall not live by bread alone, but by every word that proceedeth out of the mouth of God"
The Lord quotes Deuteronomy 8:2-3 where the children of Israel are told their 40 years in the desert where they sometimes hungered was so that they would remember whom they relied on. Israel forgot. Christ did not. Controlling our physical desires, appetites and passions is a necessary part of our covenant with Christ. He led the way for us with his example. response: "IT IS WRITTEN: thou shalt not tempt the Lord thy God"
Satan here uses scripture to try to persuade Christ to prove he is the Son of God by performing some miraculous skydive from the temple followed by a heavenly host saving the Saviour. Surely if Christ had followed this path the people at the temple would have more readily accepted him as their Messiah from the beginning. Satan's many temptations may seem logical or fun or even serving a purpose but they always end up with us being lower in spirit than before. Ironically the act he chooses is to have Christ go from the highest pinnacle of the temple into the courtyard below. Such is the path Satan always demands of us. Note also that with both of these temptations, Satan uses the conditional phrase "If thou be the Son of God...". This could serve two purposes. If there is any doubt in Christ's mind as to his origins Satan is definitely pushing those buttons. If on the other hand Christ is sure of who he is Satan is banking on Christ maybe feeling a little prideful and wanting to prove he is. But Christ falls for neither temptation. 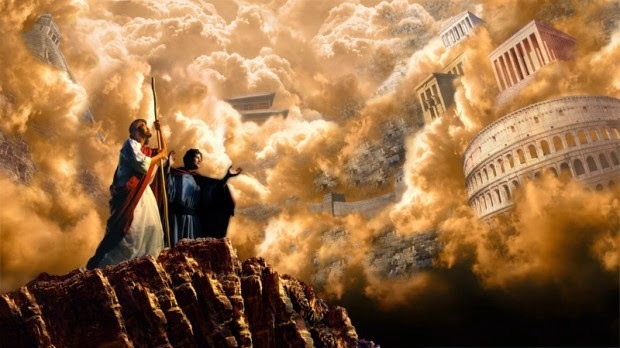 temptation: "all these things I will give thee"
response: "IT IS WRITTEN: thou shalt worship the Lord thy God, and Him only shalt thou serve"
Up to this point, Satan has arrogantly taunted Christ and subtly tried to create doubt in the mind of the potential Saviour of the world. But now he simply begs and bargains trying to use power and wealth to buy the Saviour's loyalty. And when it fails he is banished. We too should consider Satan's sinful arc of descent here. So often sin starts off as self-gratification, a lack of self-control, becomes brazen and bold before getting us banished! We have all fallen to one temptation or another. The gospel will teach us how to avoid temptations and how to resist temptations but still we all fall from the pinnacle of the temple from time to time. But Christ did not. His way was sure. Satan would have you believe that once you fall to temptation that you are no good and you may as well give up. He makes you feel embarrassed and he makes you feel like you need to hide (just as he did from the very beginning with Adam and Eve). But Christ's gospel is a gospel of repentance and it is for us ordinary folk who make mistakes daily. We have the key. Use it. What a waste to sit in a prison when you yourself hold the key to your escape. Repent. "where dwellest thou?" and "Can there any good thing come out of Nazareth?" Both questions are answered the same way "Come and See". Our invitation to all is whether you think you know of this Christ or have no idea where this Christ came from, Come and See. Get to know him, dwell with him for a while, converse with him for a while. The Christ came to us in the most humblest way, willing to live humbly, willing to avoid wealth and power, willing to sink to the darkest of our depths to save us. He knows you. He knows us all. Come and See.